Don’t miss Judas Priest on tour this spring in the U.S. featuring Signature Artist Richie Faulkner playing his Ltd. Ed. Richie Faulkner Flying-V Custom Outfit featuring a classic Flying-V profile with EMG™ active pickups chosen by Faulkner, a Floyd Rose® Tremolo, R2 Locking Nut, Grover® Rotomatic machine heads, a Thin-C neck profile, and a custom designed gig bag. "Thank you. 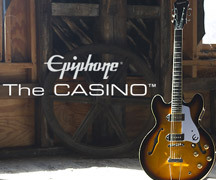 It's an honor to be part of the heritage," Faulkner told Epiphone.com. "My first proper guitar was an Epiphone and I still got it upstairs. 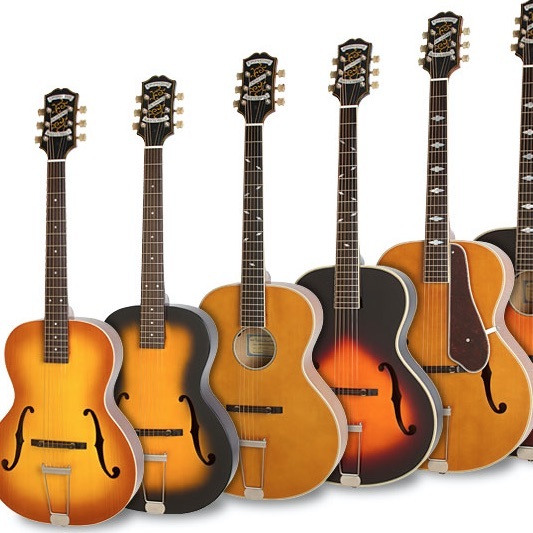 So Epiphone goes way back with me. Being a part of that is amazing really. And the way this one came about is I approached Epiphone to see if they could make a copy of the Gibson I use with Judas Priest. It's basically a '58 shaped bound body and headstock with EMGs. And then throughout the years since I made my first Gibson, I've made my own custom additions--EMG 57/66 pickups, a Floyd Rose® Tremolo and bridge, a double scratch plate to stop the studs from scratching the paint on the body and stuff like that. And that's basically what it is. And I play it every night with Priest and the Epiphones are going to be no different." After visiting Australia and New Zealand this spring, Judas Priest will tour America with dates in Nashville, Atlanta, Biloxi, Washington D.C., and residencies at historic theaters in Albany and Milwaukee. In the fall, Judas Priest will also be on tour with Ozzy Osbourne who had to postpone their spring tour due to illness. 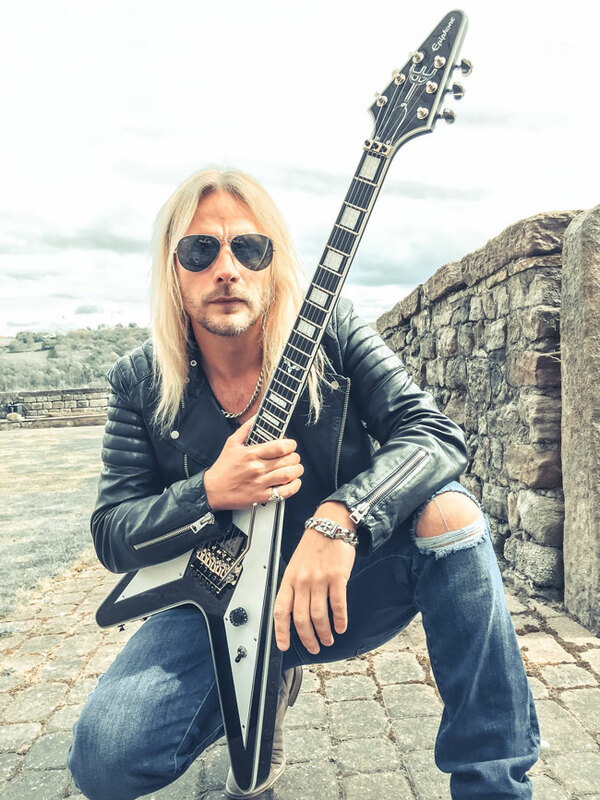 Read our classic interview with Richie about the making of his guitar, visit the Judas Priest website for updates, and look for more good news soon.